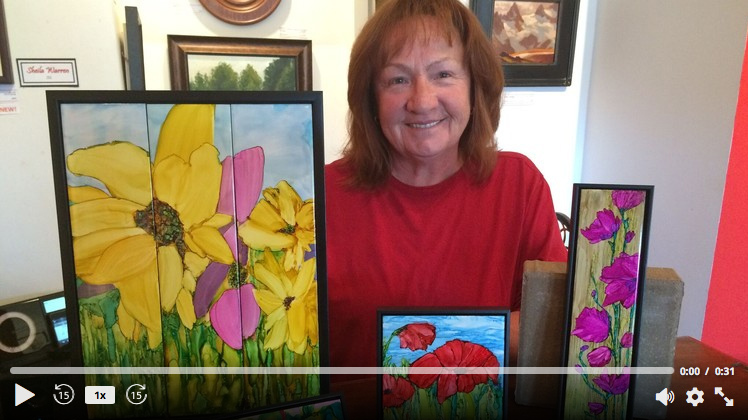 Paint beautiful gallery ready art on ceramic tile with Alcohol Inks. Enjoy this Udemy course on painting landscape in Alcohol Ink on ceramic tile, delivered in a 11 lecture series. I take you from the very beginning, including what supplies you need, to a complete beautiful piece of fine art that you can proudly display in your home or a gallery. This is a great course to expand your horizons on what is possible with Alcohol Ink, but also for the beginning artist wanting to start with an ‘easy to do’ form of art. 10) Final touchs and touchups. © 2016 Art by Jan Murray - The images and information on this website are the property of the artist and cannot be reproduced without permission.